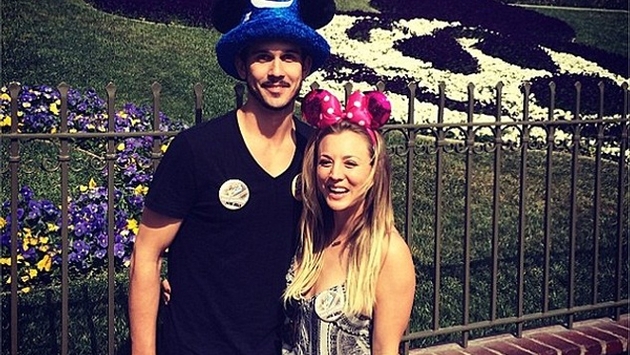 Newlydweds Kaley Cuoco and Ryan Sweeting looked ecstatically happy during a fun-filled trip to Disneyland in Anaheim, Calif. on Feb. 15. The couple was photographed riding in the spinning teacups and sharing kisses throughout the park. "They were so cute wearing the 'Just Married' buttons they give newlyweds!" an eyewitness revealed to Us Weekly of the couple's trip. "They were holding hands and kissing while walking around park." We think that Kaley, 28, and Ryan, 26, picked the perfect place to celebrate seven weeks of married bliss. Disneyland is so magical! Other celebs who have visited Disneyland recently include Lauren Conrad and her fiance William Tell as well as Tori Spelling and her brood. And just like them, you can also have fun at Disneyland. Here are 6 reasons why you should visit Disneyland this year! Disneyland is a wonderful place to meet your favorite Disney characters. The best time to meet them is in the morning when the park opens. You can find them in the Main Street area. They can also be found at character dining venues such as Ariel's Grotto in California Adventure. Disneyland has some of the best themed rides in the world: live the life of a pirate on Pirates of the Caribbean, ride a roller coaster in the dark on Space Mountain, or enter into the Temple of the Forbidden Eye on the Indiana Jones Adventure. There is a lot of entertainment to be enjoyed in Disneyland. There are the musicians on Main Street and the cool sounds of New Orleans Square. Also, parades are a must see! However, the highlight of the night is the spectacular fireworks set over Cinderella's castle. There are numerous dining options available at Disneyland. You can find anything from fast food to casual dining. Keep your eyes peeled for the secret entrance to Club 33 in New Orleans Square — admission is by member invite only, though, so don't plan on dining there unless you know someone. There are many shops to explore along Main Street, although you'll find stores scattered throughout the park. You can find everything from toys, cookware, food, decorations, prints, magic tricks, and music. A really great thing about Disneyland is that it is always expanding and changing. This gives guests a reason to come back over and over again. Whether it's a new land, ride, show or attraction, Disneyland continues to add new thrills for guests to enjoy. What do you think? Have we convinced you enough to book a trip to Disneyland this year? If that's not enough, check out these AWESOME deals being offered by Disneyland right now!